Promodz computers has created the best Maya software training in the Mumbai based on the current industry standards and demands that helps the students to get the high profile placements in leading companies . The Maya authorized training center in Mumbai , provide basic as well as advanced Maya software training . The training and instructions are imparted by the industry experts and professionals with deep experience in the field . 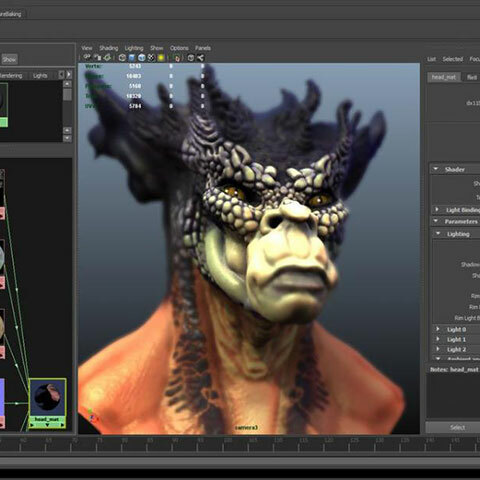 The course in Maya software are designed by Maya authorized training center to match the latest cutting edge technology used in the world . The professionals with experience in the real time Maya projects are conducting the training sessions in the Maya authorized training center in Mumbai , so that our students can take real life projects . The promodz computers blend the academic and practical aspect of the course in Maya software to give the right exposure to students . Each student is provide with a independent work station for endless practical work . The Maya authorized training center in Mumbai , ensures that the each student gets the practice in the real time projects . The training methods of the Maya authorized center transforms a untrained student into a professionals to can work on live projects immediately after completion of the training. At the well equipped lab of the Maya authorized training center , each student is introduced to Maya software , object selection , curve tools , 2d nurbs tools , UI elements , modeling , camera , light , rigging & set up , animation , rendering , polygon modeling tools , on the real time projects . The entire training sessions of the Maya authorized training center in Mumbai are designed on the pattern of the latest industry trends , and keeping in mind the professionals requirement of the students for Maya software . Each students is encouraged to get the hands- on experience by using the real time stimulation and related state of the art tools and instruments . The practical orientation of our course at Maya authorized training center enable students to absorb the knowledge effortlessly and gain the confidence to take the projects . The conducive environment provided by Maya authorized training center ensure that students are learning every minute of their stay in the institute . The progress of each student is constantly monitored to remove hurdles and weakness if any , in the absorption of the theory and practical knowledge .